Pictures are often more than words. So if you have to explain a process use collages. Apple’s App KEYNOTE (part of the iWork-Suite) is a powerful tool to do the thing on an iPad. All you need is KEYNOTE, PHOTOS and possibly SAFARI of your iOS-Device. Let me give you a brief overview how to do this. 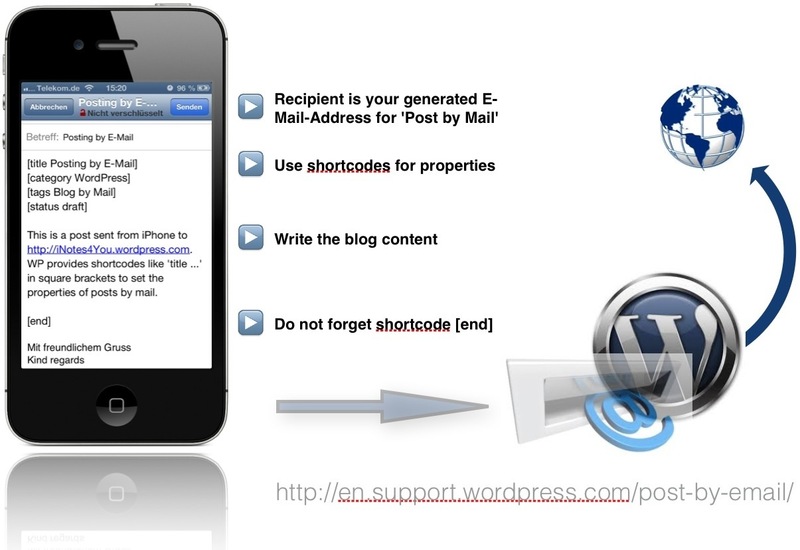 The following sample contains a collage for a short description of ‘Posting by E-Mail’ on WordPress.com and explains how it was designed with KEYNOTE within half an hour. Next Post An awesome clipboard in iOS 7?